Are you gearing up for Halloween? I know it’s really early but sometimes you have to get a head start on things. You’re going to want to make a lot of these Gruesome Band Aid Cookies. Using just a few ingredients you can have these Gruesome Band Aid Cookies made and ready to go in no time. 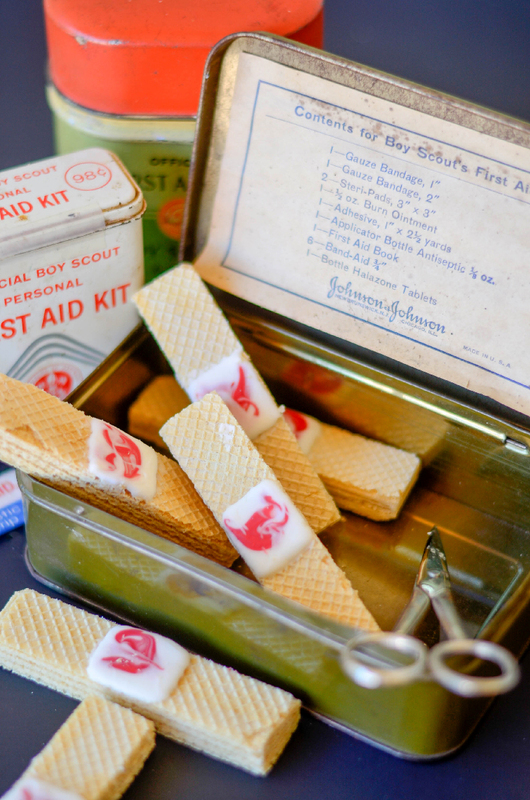 Using candy melts and sugar wafer cookies the Gruesome Band Aid Cookies are a cinch to make. Your kids will absolutely think these Gruesome Band Aid Cookies are the grossest thing around. Speaking of kids they are going to want to help make these and honestly they are so easy it would be a fun activity for everyone. I had a blast making these cookies and they are really really gross looking. I think that is what kids will like the most about them. 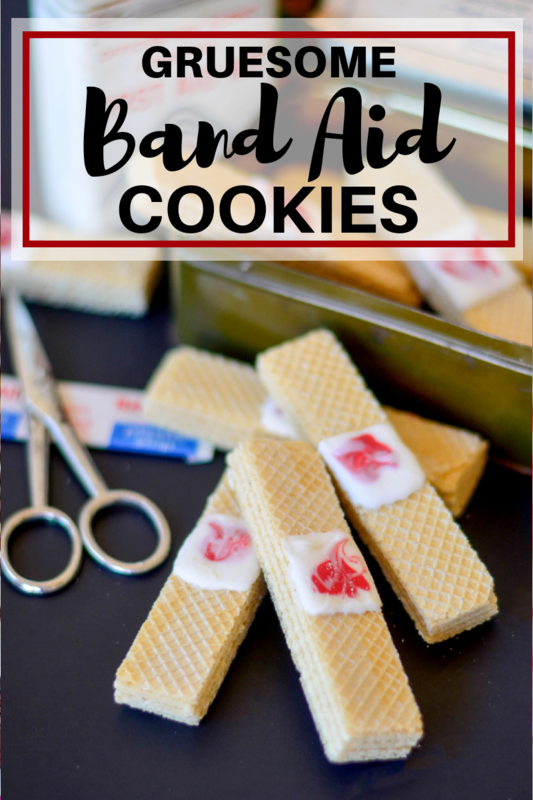 These Put a few of these Gruesome Band Aid Cookies in a cute party bag and they would make fantastic party favors, not to mention what a great addition they would make to any party spread. Place about 10-12 white candy melts in a candy melt decorating bag and melt in 30 second intervals in a microwave, I made sure to knead the candy in the bag to make sure it was all melted. Repeat with the red candy melts. Cut off a the tip of each decorating bag. First pipe a small amount of white candy in the middle of each sugar wafer cookie, quickly add a small amount of red candy on the white candy using the tip of the decorating bag swirl the red candy in the white candy. 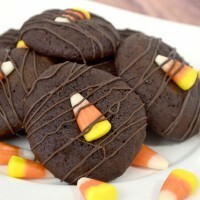 Gently tap the cookie to flatten the candy.If the candy drips off the side of the cookies use your fingers to gently wipe the candy off the side. Allow the candy to harden. 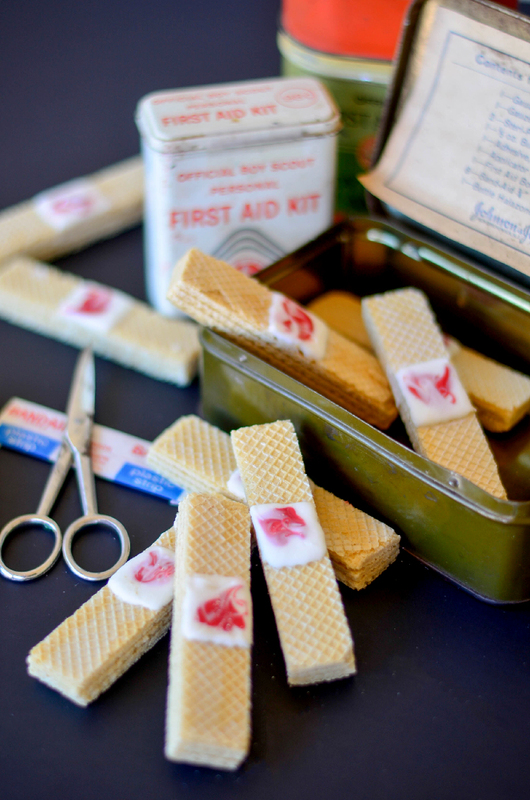 These Gruesome Band Aid Cookies are just that simple to make. 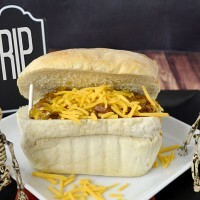 I hope you try these they are so fun and different and not to mention gruesome! 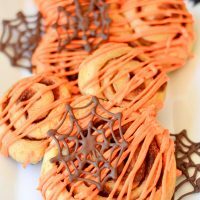 If your looking for more Halloween treats you might like these.